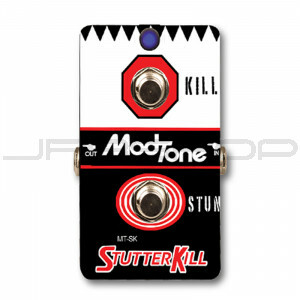 The StutterKill is a dual purpose pedal that’s a “must have” for any player. On one hand its a kill switch that’s great when changing guitars or when you just need everything shut off for a second. The second button is a momentary killswitch that allows you to do on / off toggle switch effects with your feet! Its your very own musical panic button!